Today’s cleaning business owner is busier than ever. You are on the go and in demand. This active and hectic schedule tends to leave little time to stay connected with clients and to engage new prospects. Newsletters are a great way to stay in touch with your current clients, build stronger relationships, and peak interest in your company and the services you offer. It’s a monthly reminder that you can employ to keep your business in front of your clients and prospects on an ongoing basis. The main purpose of sending out newsletters is to build relationships with clients and prospects. Newsletters contain entertaining, fun and informative articles, games, and interesting facts. They can also include specials, contests, and news about your business. But you don’t need “in your face” selling with your newsletters; it's about building relationships and make a connection. Newsletters increase client retention and loyalty. They make it easy to connect with clients and prospects without being pushy and without taking up a lot of your time. People love them if you do it right. Prospects remember you and the print newsletters get passed around. A good rule of thumb to remember is for every month you DON'T connect with your clients, you lose 10% of the value of your relationship. So if you let it go for 10 months, you've probably lost them. We spend so much time trying to GAIN new customers, but then forget about nurturing the relationship once we have them. And remember, if YOU aren't keeping in touch with your clients, your competitors WILL! Note: It will cost you 5 to 10 times more to acquire a new client then it does to retain existing ones, so newsletters are a great investment for your cleaning business and should be included as part of your ongoing marketing strategy. “I would like to send out newsletters but I just don’t have time to create one every month,” is a common response for cleaning business owners when it comes to newsletters. Here’s how we can help! Newzbreak (for commercial cleaning companies) and Better Home Living (for residential cleaning companies), are already created for you, the cleaning business owner. They are simple to edit and will keep you and your clients connected. They build trust and engage your clients without making phone calls or knocking on doors. Your clients will soon begin looking forward to your monthly newsletters and keeping your clients coming back is profitable for your business. Why NewzBreak and Better Home Living? It takes just a few minutes of your time. We do all the work of creating the content! All you have to do is personalize it for your business by adding your logo and photo, a special offer and company updates. Then take it to your local printer or upload it to an online printer. You can even convert it to PDF and upload it to your website for online reading. The newsletters are easy to read, informative, and enlightening. New content is created for you each month that is sure to pique the readers interest. New issues include relevant and interesting articles, useful advice, fun trivia and a crossword puzzle, recipes, and much more. They appeal to prospects. Getting your name and brand in front of your prospects helps to create a “buzz” about the products and services you have to offer. Newzbreak newsletters add credibility to your cleaning company issue after issue. Newzbreak and Better Home Living newsletters get read. How many sales calls or advertising emails do you get in a single day? Too many to count, right? You politely decline the cold call offers and delete advertising emails without even opening them. But mailing or delivering monthly print newsletters allows you to present company offers and specials without the strong “sales pitch.” This is accomplished by having a newsletter with a wide range of content, not one that is loaded with sales offers. And since your clients and prospects are expecting to receive your monthly newsletter, you are sure to get read, not discarded or deleted. 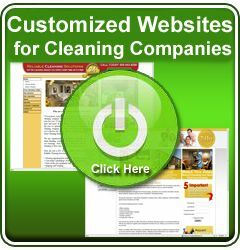 Newzbreak newsletters are a low cost way to market your cleaning business. You are constantly looking for inexpensive, yet effective ways to market your business, right? The relative ease of editing the newsletter to personalize it and make it unique to your company and business application makes it a popular choice among small business owners looking to get the most “bang for their buck.” Owners with even the smallest of budgets can utilize this type marketing to its full potential without having to pay for expensive newspaper or radio ads. The monthly newsletter will be a great addition to your marketing plan. "In search of how I could entrench my company with our customers and slam the door on the competition for good, I bought "NewzBreak Newsletter" from The Janitorial Store and offered it to my clients. WOW! the response was phenomenal! They loved it!" "This is the best business investments I have ever made. It's about ROI and if you're not providing this newsletter to your customers, you're losing money. I highly recommend "NewzBreak" to anyone serious about growing their business." "Once a month when the crew visits our home for cleaning, they leave a copy of Better Home Living. The newsletter is chock full of helpful tips, interesting information and several chances to win gift cards from local businesses or other perks from the business itself. All of this is greatly appreciated. Thank you for your attention to detail and these 'little' extras. Go Life Maid Easy!" Newzbreak and Better Home Living newsletters provide your clients and prospects interesting and informative content on a consistent, month to month basis. The high quality presentation and organization of the newsletter is directed toward your target audience. In addition to the pre-templated content, the MS Word format of the newsletter is easily editable to include your company name, your logo, company news, upcoming events, specials, or links back to your company website or pages. With competition lurking just around the corner, it’s more important than ever to continually build upon the company-client relationship. These newsletters are a great way to stay in touch with your clients on a monthly basis without consuming much of your valuable time. The newsletters allow you to stay connected on a personal level with client and prospects, while showcasing your company and putting you out front of the competition. 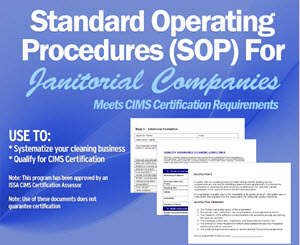 LinkedIn Company Page: Do You Need One For Your Cleaning Company? Survey Results: Having a Hard Time Staffing Your Cleaning Business? Deborah on Hiring Blues: Where Are All The Good Cleaning Technicians? Curtis on Hiring Blues: Where Are All The Good Cleaning Technicians? Ginger on Hiring Blues: Where Are All The Good Cleaning Technicians? john harris on Have You Ever Walked Away From An Opportunity To Make A Sale In Your Cleaning Business?